While there's a wide selection of navigation apps for iPhone and Android, many have fallen by the wayside due to the rise of a choice few apps that dominate the scene. Google Maps and Apple Maps are chief among these, though there are smaller apps — namely Waze and MapQuest — that have managed to hold on and stay relevant. Let's see how they compare. Platform: Which of the two major mobile operating systems (Android, iOS) and two major desktop operating systems (macOS, Windows) the navigation service is available on. Countries & Territories Mapped: How many recognized countries and territories are mapped by the app. This merely includes maps, not satellite imagery, navigation, driving directions, or street view. Countries & Territories with Driving Directions: How many total countries and territories have driving directions available in this navigation app. If you travel often, you'll want a maps app that can tell you how to get from Point A to Point B in as many countries as possible. Street View: While not universal due to the herculean task of having to physically photograph every street, this awesome feature — when available — gives you a first-person view of locations to give you a clear picture of just what to expect. Overlays: Extra data that can be shown over top of the default map. These overlays can range from satellite views to terrain views and transit routes. The more information available to you, the better. 3D View: Some apps come with this feature to help you get a more natural view of things. In Google Maps, 3D view is limited to silhouettes of buildings (you'll need Google Earth if you want actual imagery). In Apple Maps, you get fully rendered 3D maps of whole cities, though it's not available everywhere. Live Location Sharing: The ability to share your current location with friends and family in real-time (or view the location of others). This is different than sharing your current location in a one-off situation where you hit the share button and copy your address to send in another app. Specifically, Google Maps and Apple Maps offer this feature. Location History: Whether or not the app can save a log of your history as you travel. Useful for re-tracing the places you visited on a memorable vacation or finding a business you visited in the past. Cultural Hotspot Indicators: Every city has an interesting locale where people love to gather and hang out. For example, Jersey City has its Downtown district, while Manhattan has East Village and a few others. An app that has these noteworthy areas highlighted can prove useful if you're interested in really taking in the local culture of a city you're visiting. Only Google Maps offers this feature currently, and the cultural hotspots are highlighted in a brownish orange color. Weather Data: This feature takes the guesswork out of current weather conditions outside, and can inform you of precipitation on your trip, temperature, air quality, and more. Indoor Maps: This feature gives you the ability to view the layout of airports, shopping centers, and/or other public buildings to ensure you never get lost. Offline Maps: The ability to download maps, allowing you to view details about an area when your phone isn't connected to the internet. Useful when your data connection is spotty or expensive depending on the country you're visiting. Traffic Data: Traffic is fluid, and can change from smooth to incredibly heavy due to a number of factors such as accidents and road work. Some apps can go even farther than these and provide you with speed traps and traffic camera locations to stay a step ahead of law enforcement. Traffic Data Source: This all-important feature is vital for any navigation app to function: the data that provides you pertinent traffic information. This can be sourced from in-house research (preferred), other users of the service, the app's parent company (like Google with Waze), or from third-party providers like OpenStreetMaps. High Traffic Warnings: As bad as rush hour is, it gets worse when an accident occurs. As such, good navigation apps will warn you of unusually heavy traffic well in advance to give you time to prepare and leave ahead of schedule. Speed Limits: Whether or not the app displays speed limits for the roads you travel on while in navigation mode. This feature is not available in all areas, however. Lane Guidance: When out for a drive, nothing is as annoying as missing your exit due to being in the wrong lane. This ingenious feature helps keep this headache to a minimum by telling you which lane you should be in while in navigation mode. Add Tolls & HOV Passes: Toll passes like EZ-Pass and HOV lanes dedicated to transit buses and carpools can make highway driving faster as they avoid traditional toll booths and regular lanes that can pile up fast. Some apps have the ability to specify that you'd like to use these lanes while navigating. Avoid Tolls & Highways: Finding out you've taken a route with tolls can leave you open to hefty fines if you don't have any cash on hand, while directions involving highways can sometimes be more of a hindrance to your trip due to congestion. Fortunately, most navigation apps give you the option to avoid these two to reduce the hassle. Choose Different Routes: Upon starting navigation, a majority of driving apps will give you the choice between two or three routes to better reflect your needs. Some apps will even alert you if a faster route opens up and present it as an option while driving to get to your destination ahead of schedule. Add Pit Stops: Long road trips inevitably lead to unplanned pit stops, be it bathroom breaks, a near-empty gas tank, or hunger. Though most navigation apps limit this feature to only one stop per trip, some apps will let you input as many additional stops as you want. Show Gas Prices: Gas prices vary from station to station, and this neat feature lets you see their corresponding prices from within the app to ensure you get the most gas for your money. Hands-Free Control In-App: Safety is paramount while driving, and manually interacting with your device is inherently dangerous for you and others on the road. Because of this, many navigation apps can be issued instructions via voice commands to maximize safety. We specified "In-App" here when testing, meaning we only counted it as a "Yes" if the app itself recognized voice commands rather than the phone's built-in digital assistant. Directions Using Other Modes of Transportation: There are plenty of ways to get around besides driving, and most navigation apps are able to provide routes for alternate forms of transportation such as mass transit, bicycling, taxis, and good old walking. Re-Center: This feature is pretty common among navigation apps, letting you instantly change the view back to your current location within your navigation route to view cross streets and get a better determination of your drive. Accessible Navigation: Many of us have special needs that have to be taken into account while on a trip, such as wheelchair-friendly locations for either us or someone we love. Some apps can accommodate these needs, others can't. Save Parking Spot: Having your navigation app save the location you parked in is very useful when visiting an unfamiliar location, especially if the place is a large, bustling urban area. Offline Navigation: Different from Offline Maps above, this is the ability to navigate with a poor or nonexistent internet connection. Great when you're transitioning between areas of good and bad cellular service to ensure smooth, trouble-free navigation. Works With Screen Off: Having a navigation app that can dictate navigation prompts even with the screen off isn't only handy while walking around, it can also be a lifesaver if your handset is running low on battery. Dark Mode: By default, most navigation apps are set to automatically enter dark mode once day turns to night to better reflect your surroundings. Some apps, however, give you the ability to permanently set them in order to help preserve your battery. Ride Share Integration: Ride sharing apps like Uber and Lyft have become a pretty common part of our daily lives, and navigation apps that have these services integrated do away with the need to open a separate app, making them more convenient overall. Picture In Picture: Sometimes, you'll need to browse while navigating. Maybe you want to read reviews of a restaurant you're visiting. This is where this feature comes in handy, but regardless of the navigation app, it's currently only available on devices running Android 8.0 or higher. Lock Screen Navigation: While walking or taking public transportation, navigating from your device's lock screen is inherently more secure than getting directions with your phone unlocked, as it gives you a layer of protection against unwanted access should your phone get lost or stolen. Show Festivals & Protests: A cultural festival like Oktoberfest can make your vacation all the more memorable, while events such as the French "Yellow Vest" protests have the potential of ruining them outright. Thankfully, there are apps out there that alert you of these events as they're happening so you can join in on the fun or avoid them, depending on your preferences. Personalized Recommendations: If your smartphone interactions aren't personal enough, some navigation apps now have a feature that can give you recommendations via a personalized feed that's based off places you've visited, along with restaurants and stores that you follow. This ensures you're always on top of locations to visit, no matter where you are in the world. Book Dinner Reservations: This feature is incredibly convenient, as it allows you to instantly reserve a table in a restaurant you want to try out. This does away with the headaches of being put on hold when calling ahead, not to mention having to open a separate app to book a reservation. Report Traffic Issues: Traffic pileups can happen out of nowhere and quickly turn a highway into a parking lot. Being able to report an accident or heavy traffic in real time can benefit other drivers, and if other drivers can do the same, it can benefit you. Post Reviews: We've all grown to rely on user-posted reviews to help us make decisions on what products to buy or services to go with, be they cars, restaurants, toys ... the list goes on. To help you chime in, some apps give you the ability to post reviews regarding places you've visited to give others a better idea of the services they provide so they know what to expect. Even if you don't want to contribute, you can benefit from this feature, as other users will review places you might want to visit. Car Support: Thanks to Android Auto and CarPlay, you're now able to use many popular navigation apps directly from your car's dash. Unfortunately, not all navigation apps are supported. AR Features: Augmented reality — or AR, for short — has been adopted by certain navigation apps for its ability to enhance user experience. Apple's Flyover, for instance, can give you a virtual birds-eye view of a supported city as you move your phone around. Widgets: This option is great for multitasking, and primarily shows navigation prompts on your device's home screen when supported. Music Integration: Playing your favorite tracks while out on a long drive goes a long way towards keeping boredom from setting in. Having an app that lets you play music in-app keeps you from having to switch back and forth between navigation and an external music app. Siri Shortcuts: With Siri Shortcuts, you can create instantly accessible commands to streamline your navigation even further. For instance, you can create a Shortcut for your morning commute to automate the task, which you can then run by summoning Siris and saying the designated command. To no one's surprise, Google Maps handily takes the top spot in our comparison. The app is clearly the most comprehensive out of all the maps on this list, with 266 countries and regions mapped and full driving directions provided for 253. Beyond that, Google Maps also comes jam-packed with features to make it the best app all around for navigation both at home and abroad. Google Maps is truly an impressive app when it comes to navigation. The app uses data sourced from Google Earth and combines it with information gathered by users worldwide to provide some of the most accurate traffic data. And thanks to regular software updates, there's little doubt that the service will continue to improve. There's ride share integration using Uber and Lyft so you can quickly summon a car, and there's even support for Lime so you can find a bike to ride. Besides providing routes for cars and ride shares, Google Maps also provides directions for walking, biking, and public transit, in addition to displaying wheelchair accessible areas. (1) Summoning either Uber or Lyft can be easily done using Google Maps. (2) Finding a wheelchair accessible route with Google Maps. While all the apps on this list show gas station prices, Google Maps is by far the easiest to view. It shows the price within the details card on the bottom when you select a gas station from the map. These gas prices also appear when adding a gas station as a pit stop during longer drives. And unlike many of the apps on this list, Google Maps lets you add more than one stop to your trip. Google Maps features indoor maps for airports, malls, and museums, which can be accessed by zooming in on the target location. Buildings and other structures are displayed in 3D on the standard layout, and this is even more prominent when you swipe with two fingers to change the viewing angle, but everything is shown in 2D when the satellite overlay is applied. Luckily, the app features Street View if you need a first-person perspective to better orient yourself. (1) 3D Renderings of buildings on Google Maps. (2) Picture In Picture mode for Google Maps. With all these features at your fingertips, the app's UI can get little overwhelming at times, which brings us to the app's main downside. Google Maps' numerous overlays can easily overload your senses, and ironically cause you to get lost within app itself due to the amount of reports, landmarks, and businesses both small and large that are plastered on your screen. Thankfully, the app lets you minimize information overload by making overlays such as transit, satellite, and bicycle overlays optional. Beyond that, Google Maps also lacks a built in weather data and the option to manually report traffic-related issues. When all is said and done, however, Google Maps' benefits far outweigh any limitations it has, making it a solid companion for travelers worldwide. Apple Maps is Apple's answer to Google Maps, and despite a rocky start, the app has become the navigation app of choice for many iPhone users due to it's simple interface and overall reliability. As per Apple's MO, it's only available on Apple devices like iPhones and Macs, but on the flip side of that coin, the app continually improves with each major iOS update to ensure it stays competitive. Apple Maps has tons of features that make it stand out from the crowd, such as full Siri integration for a truly hands-free experience, and accurate real-time reporting of delays caused by road work and accidents. In addition, the app features support for indoor maps that covers airports and shopping centers, which is incredibly useful for frequent flyers and casual tourists alike. Apple Maps also comes equipped with ride share integration, letting you summon a ride via Uber or Lyft straight from the app itself. When driving around, the app displays important data such as speed limits to maximize safety. The lane guidance feature is also the easiest to understand out of all the apps on the list, and is displayed prominently in advance of an exit or intersection to ensure they're not missed. When it comes to 3D viewing, Apple Maps wins by a mile, as it provides vivid 3D renderings of major cities across the world like London, Paris, Sydney, and Tokyo. It's worth noting that this feature currently covers 353 cities across the globe, as highlighted by the tiny "3D" badge on available cities, though Apple will likely cover more as it continues to update its app. (1) The lane guidance feature on Apple Maps is hard to miss. (2) 3D View of Jersey City. Besides 3D View's limited coverage, there's other elements that Apple Maps still has to improve on to make it a truly great navigation app. For one, the app currently doesn't support street view, though it will likely roll out with the feature at some point in the future, as it has been actively surveying areas across the United States and select countries using LiDAR-equipped vans since 2015. In addition, Apple Maps focuses heavily on urban centers rather than countries as a whole, which makes it limited compared to Google Maps and even MapQuest in terms of overall coverage. This can be clearly seen when compared to Google Map's coverage of smaller towns and rural areas, which provides more details like parks than Apple Maps. (1) Lancaster, Pennsylvania on Apple Maps. (2) The same town on Google Maps. Note the parks and rivers not shown on the former. Unlike Google Maps and Waze, Apple Maps doesn't provide you with police-related reports such as speed traps and cameras, making it less than ideal if you depend on this functionality to avoid potential traffic tickets. Bicyclists may also want to avoid using Apple Maps, as it doesn't offer bicycle navigation. But the most glaring shortcoming with Apple Maps is its availability. The app is only available for iOS and macOS devices, which places it firmly out of reach of users on the Android platform. Waze is the navigation app of choice of drivers the world over and it's easy to see why. The app features novel alerts such as speed traps to help ensure you stay ahead of law enforcement to avoid expensive traffic tickets. The app uses data gathered from fellow Wazers to build an incredibly accurate real-time view of your surroundings. Google purchased Waze back in 2013, and has used Google Maps data since then to enhance its user-curated services, and vice versa. Besides the aforementioned speed traps, Waze also shows you other important traffic data such a police locations, traffic cameras, road work, and accident-related slowdowns that even include their average speeds. Beyond detailed real-time traffic reports, Waze has the usual options like toll and highway avoidance built in, in addition to the ability to add toll lanes like EZ-Pass and HOV lanes for more route choices. The app also features hands-free navigation and pit stop additions to ensure safer and smoother road trips. Waze strips almost all the bells and whistles found on more popular counterparts and is comparatively bare — there are no buildings rendered in 3D and no satellite or terrain overlays, just elements you need to get around safely. Of course, this stripped down functionality has some downsides, such as limited options for other modes of transport. (1) Thanks to fellow Wazers, you can view traffic slowdowns in real time. (2) Adding toll passes and HOV lanes couldn't be any easier with Waze. As a driver oriented navigation app, Waze offers multiple options for varying modes of transportation, and can find you the optimal routes for motorcycles, electric cars, and taxis. Unfortunately, the app doesn't provide directions for biking and walking, making it less than ideal companion when not in a car, especially in urban locations. Waze's shortcomings don't end there. It has the lowest overall coverage in this list, with only 72 countries currently supported by the app. And while it did so in the past, the app has since removed the option for downloading routes for offline navigation, which can be a problem if you encounter an area of poor cellular service while driving around. And because of its lack of building outlines and indoor maps, it's harder to orient yourself and zero in on a specific building or landmark while on foot. Though nowhere near a famous as its Google and Apple counterparts, MapQuest has nevertheless remained a solid and reliable navigation app that's definitely worth checking out. The app has mapped out 252 countries and regions and comes standard with numerous features that makes it a great companion while sightseeing in a different state or country. Though MapQuest has long been overshadowed by its more well known competitors, the app has actually been around for a very long time. It was the map of choice for many long before Google Maps became a household name. The app's claim to fame is its layering feature that lets you apply and remove map elements like hospitals to only show relevant information and keep your map clutter-free. (1) MapQuest lets you add or remove overlays on the fly. (2) If you're craving for pizza, Mapquest has you covered. Like Google Maps, MapQuest offers real-time reports like heavy traffic due to accidents, road work, and traffic cameras, to help you steer clear of slowdowns and trouble. Speed limits are also posted and easy enough to see when navigating, along with your current speed if you're going faster than 15 mph. Beyond that, the app gives you a choice between a standard layout complete with building footprints and a satellite overlay to help you get a better perspective while out and about. Relevant weather details like the current temperature and forecast are shown in the lower-right corner and disappear once navigation has started. As great as MapQuest is, it lacks some notable features and refinements that we've grown accustomed to, and it has a UI that's a little clunkier to access when compared to its famous competitors. Among these limitations are the lack of transit navigation and support for indoor maps of airports, shopping centers, and other points of interests found in Google and Apple Maps. MapQuest also doesn't give you the option to either navigate offline or download maps, which can be a major handicap if you're visiting a location with poor cellular service. The app also doesn't come with its own version of Street View, which can limit your perspective. Lastly, MapQuest doesn't have Picture In Picture mode, which can limit multitasking, though navigation prompts still show up in your Phone's notification panel. Despite these disadvantages, however, MapQuest is still a viable option for interstate drives and traveling abroad — it has a clean UI that is very easy to understand and interact with, which is all you need when getting around from place to place. As you've seen from the chart above, Google Maps blew out the competition, largely due to the sheer amount of features it has, and the balance it achieves between that and overall user-friendliness. That's not to say that the other three apps are not without their merits, however. To the contrary, these apps all have noteworthy features that have undoubtedly contributed to their popularity. Apple Maps is arguably easier to access if you're on an iPhone, with just the right features to make it a solid choice. Waze, on the other hand, is more catered to drivers and is ideal for longer road trips, while MapQuest and its numerous overlay options make it the perfect choice for those who like to keep distractions to a minimum. Which one is your app of choice for getting around? Share your thoughts in the comment section below. Excellent article and comparison Amboy..thanks! Apple Maps has come a long way and even with the awesome Waze, (for me) Google Maps still wins for now. If only Streetview would remove that ugly and pointless blurring of houses but. Any non owner can unfairly request that and once smudged Google doesn't reverse it (or allow users to). 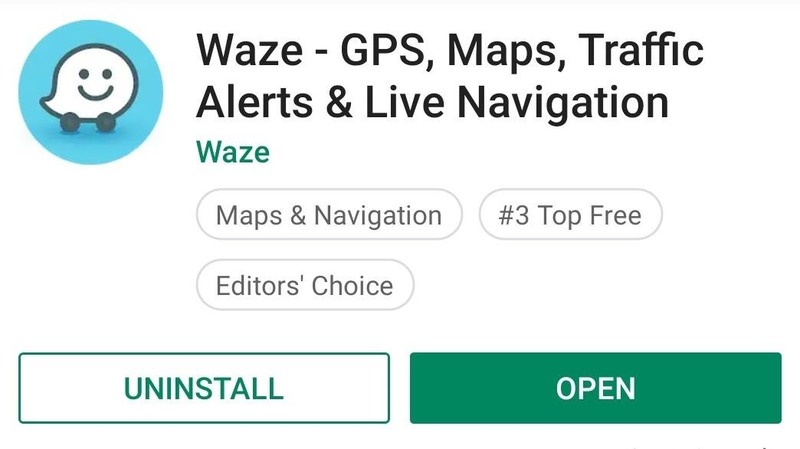 There are some hidden things in Waze that I think should have been mentioned, such as having the most accurate map out of all the navigation apps due to the volunteer map editors from around the world. Also failed to mention, and I would not be surprised that no one knows this, but in times of emergencies, Waze can send a notification to all it's users in an area about it and provide locations for shelters throughout an area. A good example is in the Midwest USA that was recently hit with major flooding. Also forgot to mention that Waze has a program called Beacon that allows the app to work within tunnels, as long as the Department of Transportation installed the transponders. It really comes in handy when navigation is needed within said tunnels. Ellison, you've brought up some really great Waze features that's definitely worth mentioning. As accurate as its maps are, it's lack of coverage overall (It's only limited to 72 countries) which kinda hampered it in the end. As for the other features you mentioned, they'll definitely make great standalone guides, so I'll be sure to look into them. Thanks again for the input and ideas! Among other things that you're getting wrong Waze is in well more than 72 countries. Where are you getting that number from? I think every of this list's programm is good,but i'm still using google maps.